If you're not sure, just leave this field blank. So many of those who believe their health was impacted by 9/11's toxic dust, and who did their research, chose attorney Noah Kushlefsky and the 9/11 WTC law firm Kreindler. Thousands of clients have already received their monetary awards. Attorney Noah Kushlefsky has advocated on behalf of 9/11 victims and their families for more than 16 years. 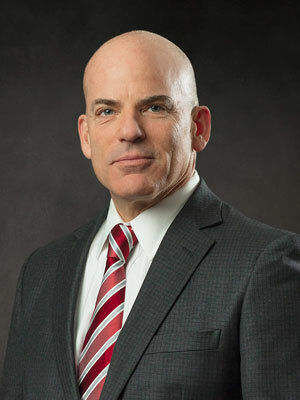 Recognized as one of the nation's leading experts on the September 11th Victim Compensation Fund, Noah has been credited with assisting in the creation of the methodology used by the VCF in rescue worker death cases and has lectured extensively on the VCF. He has recovered more than $2.5 billion for victims of the terror attacks and those killed or injured during the rescue and recovery at Ground Zero. Many people are just now learning about the 9/11 victim compensation fund. Fortunately, there is still time to apply for compensation and possibly a tax-free lump sum for expenses associated with their illness. However the extended eligibility deadline grows closer every day. Founded in 1950, Kreindler & Kreindler is one of the world’s most notable, highly specialized personal injury law firms. Well-known for its leadership in aviation accident law, New York City-based Kreindler began representing victims and their families almost immediately after the terrorist airplane crashes of September 11, 2001. No other law firm in the world has more experience and resources dedicated exclusively to representing Americans injured or killed as a result of the 9/11 terrorist attacks than Kreindler. How do you know if your cancer or other illness is related to 9/11? Are you eligible for money from the 9/11 victims compensation fund? When is the deadline to file a claim? The dedicated 9/11 VCF team at Kreindler is ready to help answer those questions, as well as any questions you might have. They’ll explain how they can help you claim the maximum monetary award you may be entitled to. Whether you’ve been diagnosed or not, you can start by answering a few brief questions. For years following 9/11, numerous types of cancer, as well as respiratory illnesses, have been on the rise for people exposed to the air below Canal Street in the months following the tragedy. 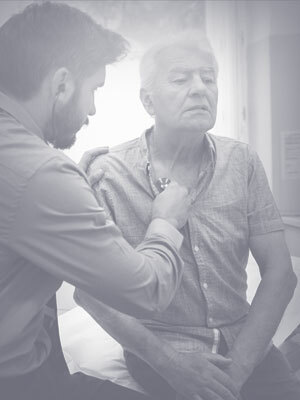 When people saw their doctors for a persistent cough or trouble breathing, their diagnoses – and the expensive treatments – may have come as a surprise. For many, a connection to the 9/11 attack never even occurred to them. As new cases of cancer continue to be documented, many people are now realizing that first responders aren't the only latent victims of the terrorist attack. Hundreds of thousands of people were exposed to the toxic air and continue to be diagnosed with cancer today. The 2001 collapse of the twin towers produced a noxious fog of burning plastic, asbestos, fiberglass and jet fuel. This foul, carcinogenic mixture was inhaled not just by 9/11 responders, but by up to half a million people who lived in, worked in, attended school in or visited lower Manhattan in the ten months following September 11, 2001. Fires at Ground Zero burned for 90 days, continually releasing contaminants. Into homes and public buildings, this toxic dust settled into the rooms, offices, furnishings, HVAC systems, and most tragically, into the lungs of New Yorkers, visitors, workers and students who were exposed to it. What parts of Manhattan were affected by the toxic dust? What types of cancer and ailments does the Fund cover? What kinds of losses could I be reimbursed for? 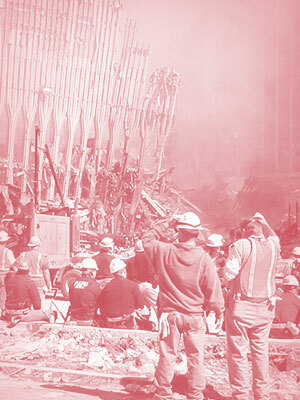 What is the process of pursuing September 11th Victim Compensation Fund payouts? What amounts has the firm recovered lately for people? What do people say about working with Kreindler & Kreindler? What should I know about the World Trade Center victim compensation fund? What do I need to know about Kreindler? You’ll know right away that you’re in good hands.